Get the Call of Duty cards by passing your intelligence in this memory card game. Select the cards on the screen to find your partners, you can also take advantage of the bonus of gusts with which you can multiply your score. This fun game can be made from any device: Smartphone, tablet and PC. Dare and click on this exciting memory game, finding all pairs of cards in the shortest possible time. Good luck!. 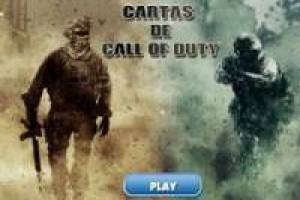 Enjoy the game Letters from Call of Duty, it's free, it's one of our call of duty games we've selected.